Supplying and Installing catering equipment in Oldham. 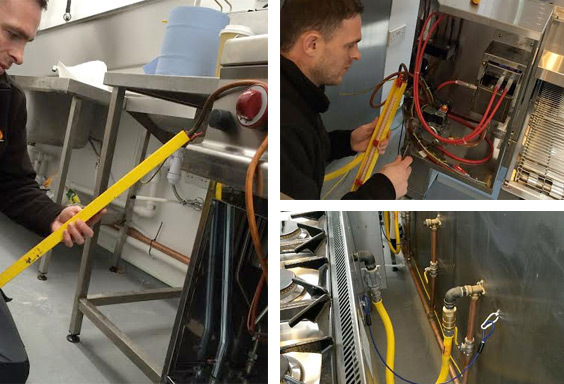 FSW Gas services are an ashton-under-lyne based company, we supply a range of commercial catering equipment and offer gas services in Oldham. Whether you need a full commercial kitchen, upgrades or repairs on your current appliances, just call today and speak to one of our team members who will be able to be able to help you choose the correct service for you! We ensure all of our services are to a professional standard, this is to help us maintain our reliable reputation and advanced services in the industry. With over 10 years of experience, our engineers know the ‘trick of the trade’. Full brand new kitchen too much for the budget? not too worry, at FSW we offer reconditioned equipment. Our engineers will use they’re knowledge and experience to make sure that the appliances are restored back to good condition, fully stripping them down, deep cleaning them and replacing the parts with new ones!